Content Area Oral Reading [CAOR] is a Powerful Practice you can use to help students gain access to difficult texts in the content areas. 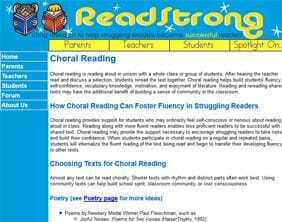 CAOR draws on research related to repeated readings and incorporates aspects of choral antiphonal reading (reading parts in a response pattern). 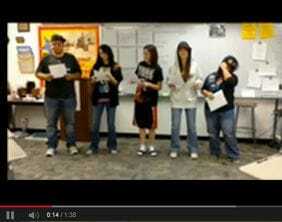 Students can work from prepared texts or develop their own CAOR texts/scripts working in groups. The beauty of CAOR is in the way it builds a bridge between comprehension and fluency. CAOR helps students enjoy reading texts that have difficult vocabulary and complex concepts. Use it to challenge your students to explore ideas at the same time they develop fluent oral reading skills.